The Nineteen G is the undisputed lightest karabiner in the world and is so light that two of them weigh less than the classic Outside best-seller, the Wild Country Wild Wire. Inevitably there are consequences on the design, this wiregate is much smaller than any other karabiner we sell. However for certain applications, such as monster Gogarth racks or tiny Ryanair baggage allowances, they simply can't be beaten. 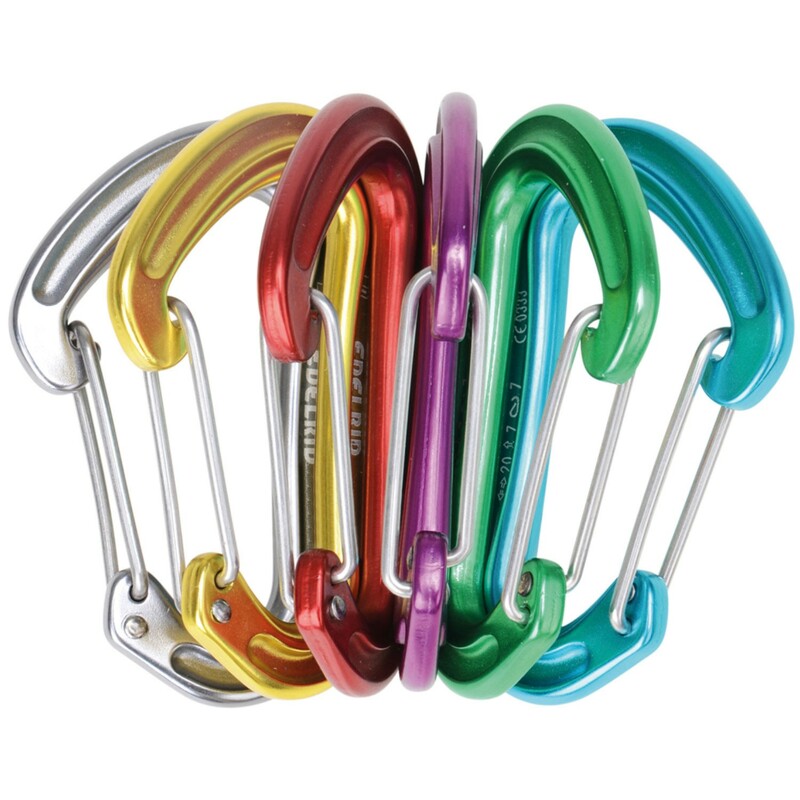 This is a pack of 6, anodised in different colours so you can colour code your cams or create funky rainbow quickdraws!